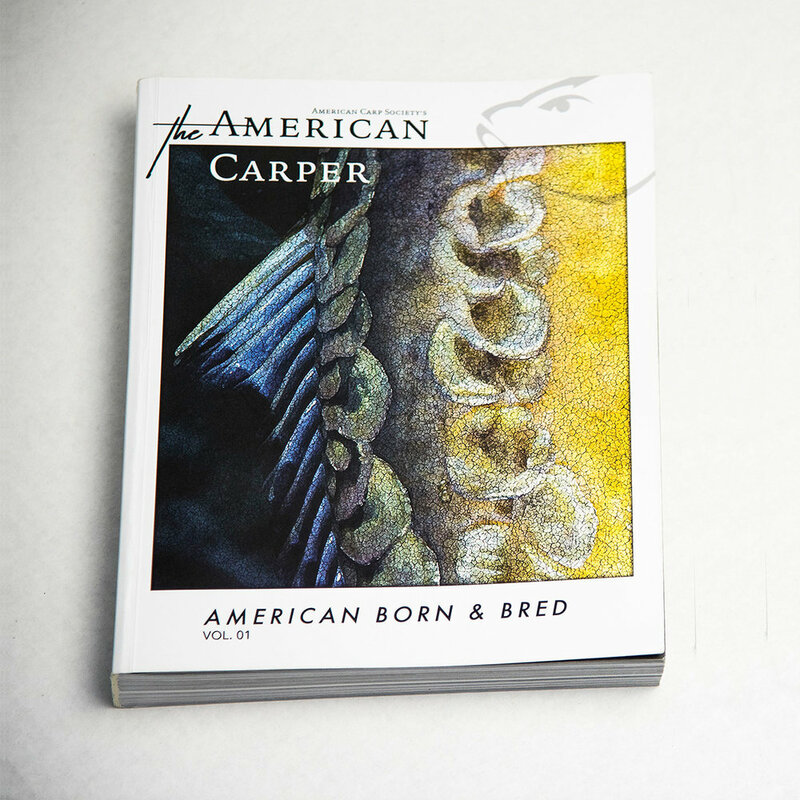 The American Carper is a hard copy publication available to American Carp Society members here in the USA. It is 1.5 inches thick, weighs 4 lbs in weight and is printed on 105 lb text weight paper of the highest quality, with a matte laminate finish for an incomparably flawless representation of these great fish through both the carefully crafted word and picture. The American Carper is not an answer for the latest rig, bait or commercial posting…There are no advertisements or commercial product placements contained within its pages. Its purpose is to look deeper into the reasons why we are all drawn to this great fish and the environment in which it lives…to inspire and encourage you to forge your own path as a carp angler here in the USA… to ask your own questions about this magnificent fish and to explore the reasons why we choose the journey… and the endless search for answers that abound at the waters edge. Reading an inspired thought in the printed format and seeing a special moment captured in a carefully composed picture that stops time evokes the spirit and passion in us all that compelled us to pick up a rod in the very beginning….the size or species was irrelevant…These are stories of fish lost and of fish captured…and a look into the minds of those whose passion is deeply rooted.